Home > News > Announcements > New Talespinner: Cash DeCuir! Excellent news! Cash DeCuir is joining Talespinners! Cash has worked for us in the past as a freelancer on titles such as Catastronauts, and we’re very pleased he’s agreed to become part of our co-operative. He’s honed his writing and design skills at Failbetter Games, where he was lead writer on Fallen London, and worked on Sunless Skies and Sunless Seas: Zubmariner. He is also the lead writer and designer on the upcoming narrative adventure game, Over the Alps, which made its first public appearance in 2018 as part of the EGX Rezzed Leftfield Collection. 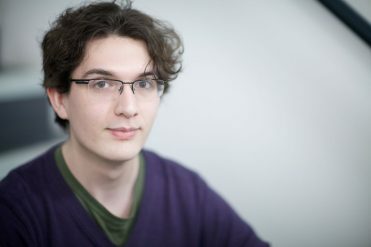 He has been named one of the Top 100 Rising Stars of the UK Games Industry by GamesIndustry.Biz. So now the rest of us have a lot to live up to! If you’d like to chat to us about how Cash and the rest of our team can help you with your game, then please get in touch – or come along and see us at Gamescom in Cologne next week!